"Hello Mr. Amundson. My original background is in martial arts, teaching Taekwondo and Kickboxing. Since I've discovered CrossFit I've never been in better shape in my life. I've never felt better, never been faster, never lifted more, or more importantly to me, never been mentally stronger than I am now. When I began training, simply attempting the WODs was satisfying enough at first. Then setting goals helped keep me motivated (double body weight deadlift, improved Fran, linking muscle-ups). But now I'm consistently motivated to just be a better me thanks to your mental reworkings! I recently watched your lecture on leadership and mental workouts at the CrossFit One facility at Reebok HQ and it was the most eye opening, light bulb moment I've had in CrossFit to date. Equal to any PR! I've literally set free my anxiety over certain WODs or techniques. Your energy and enthusiasm is palpable through the screen and your examples and metaphors are inspiring! I hope you're breathing fire for years more and someday I can thank you in person." Note: For the Kettlebell Ladder, weight is 25lb. up to 73lb. The EMOM total volume is 110 Repetitions in 10:00. Athletes should consider increasing the amount of weight they normally swing during the EMOM. 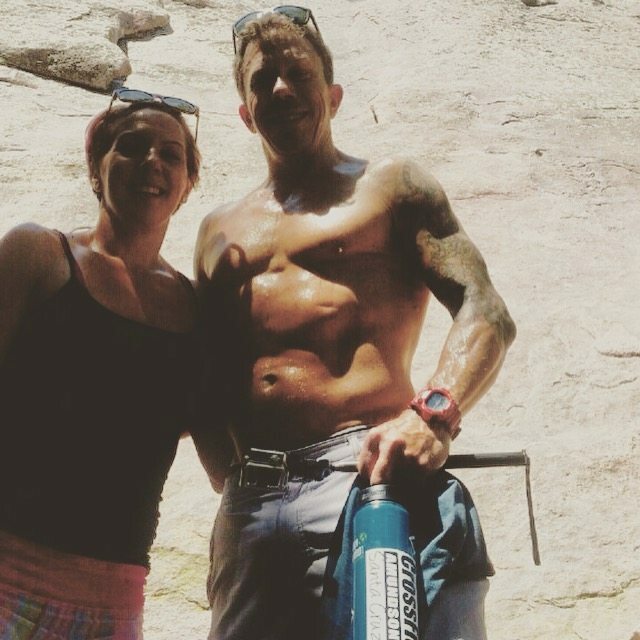 Corey and Molly – Boulder, CO.
Our Light Workout will be our HQ programming today.